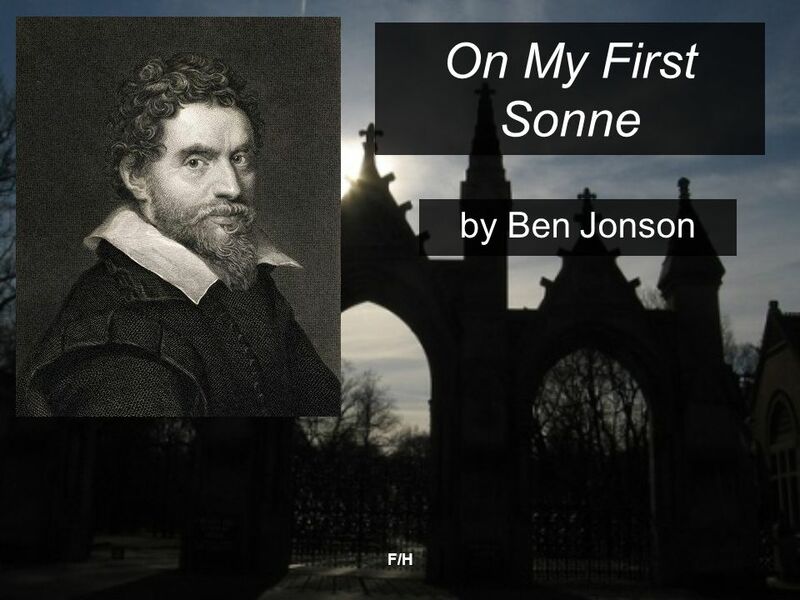 On My First Sonne by Ben Jonson F/H. 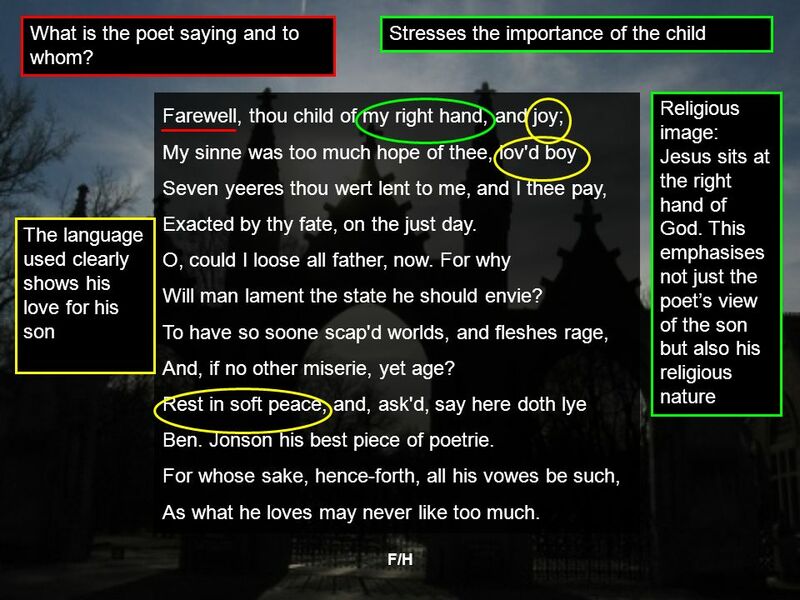 5 What is the poet saying and to whom? 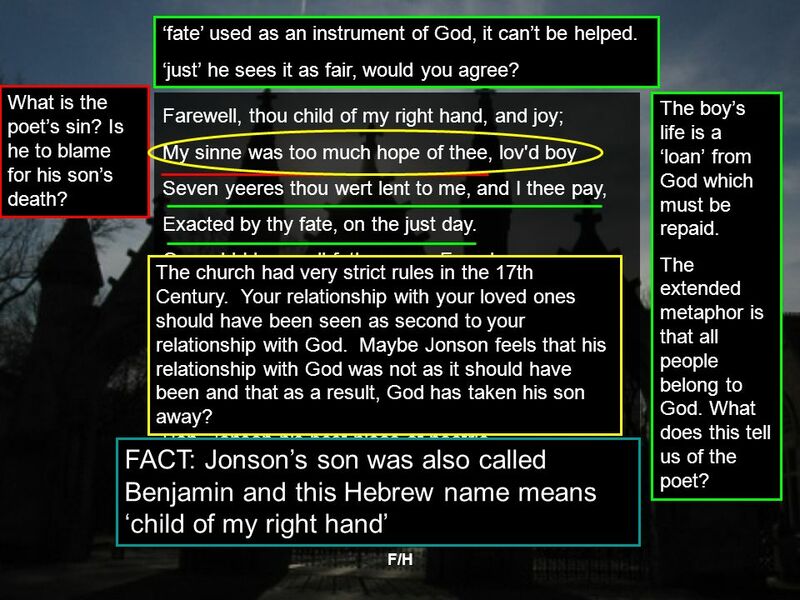 6 ‘fate’ used as an instrument of God, it can’t be helped. 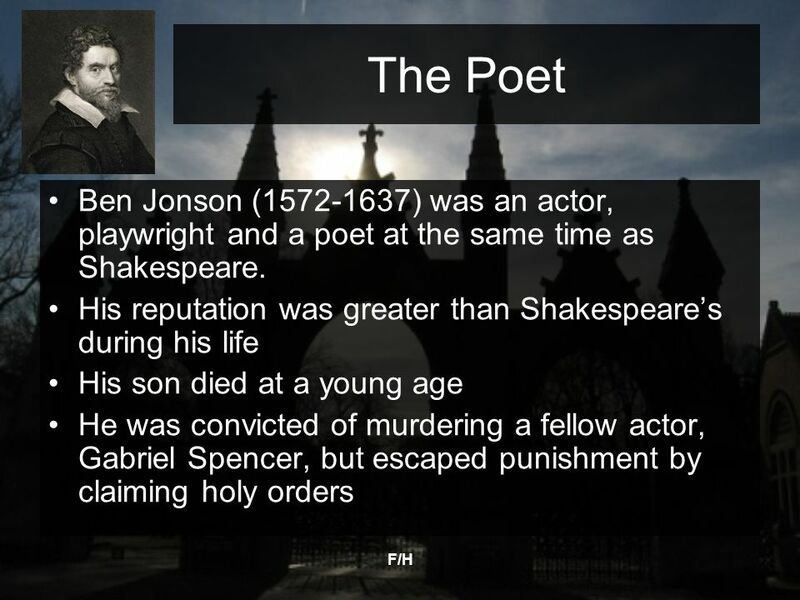 9 He links his son to his poetry. 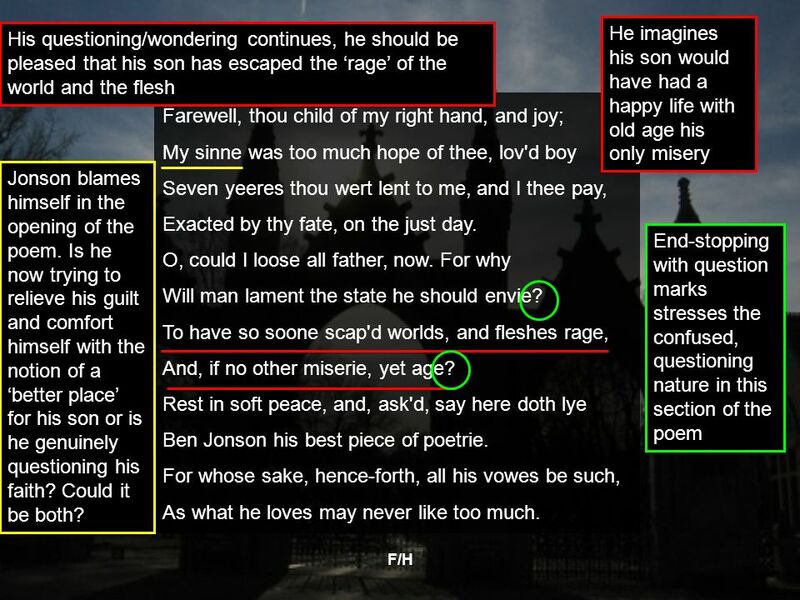 10 For his son’s or God’s sake? 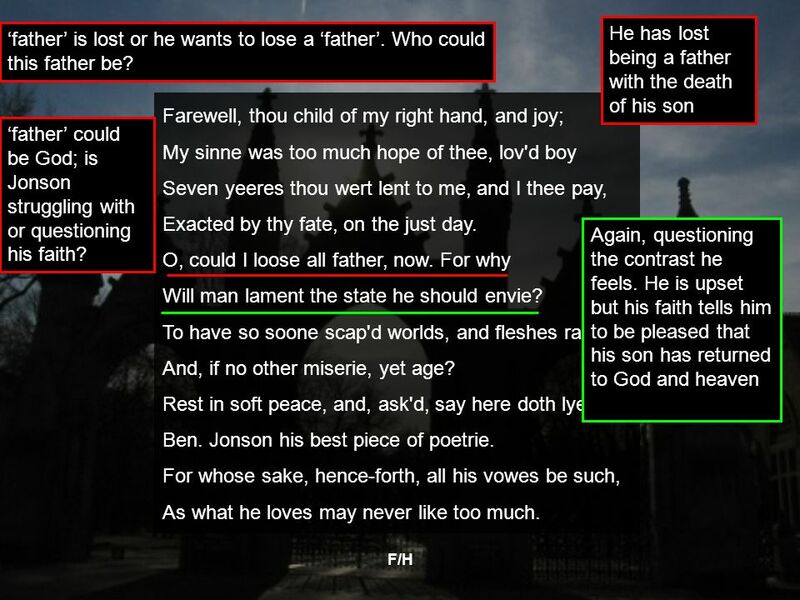 11 Is this a conversation with his son? 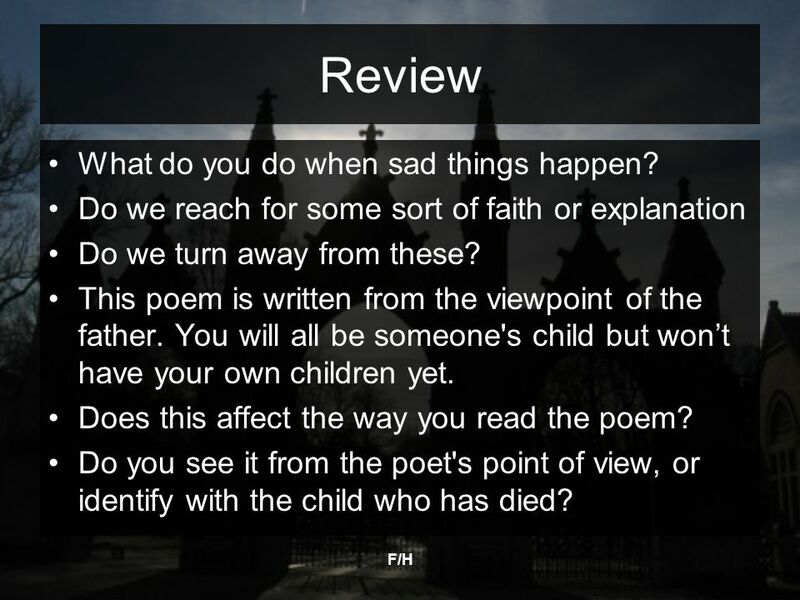 13 Review What do you do when sad things happen? 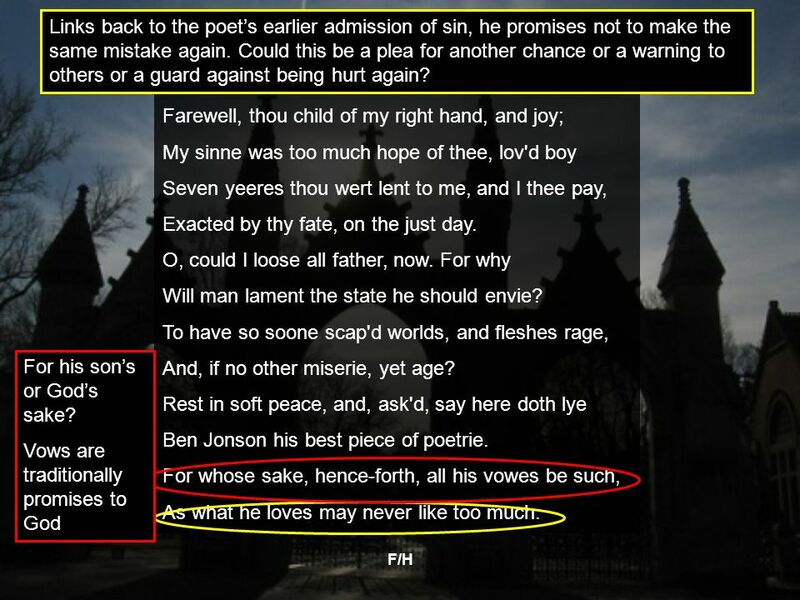 Download ppt "On My First Sonne by Ben Jonson F/H." What Happens When I Die? Click. My Friend Jesus “The best friend I’ve ever had” My friend is a Real King, How about yours? How cool is it to have a friend who actually has a kingdom? 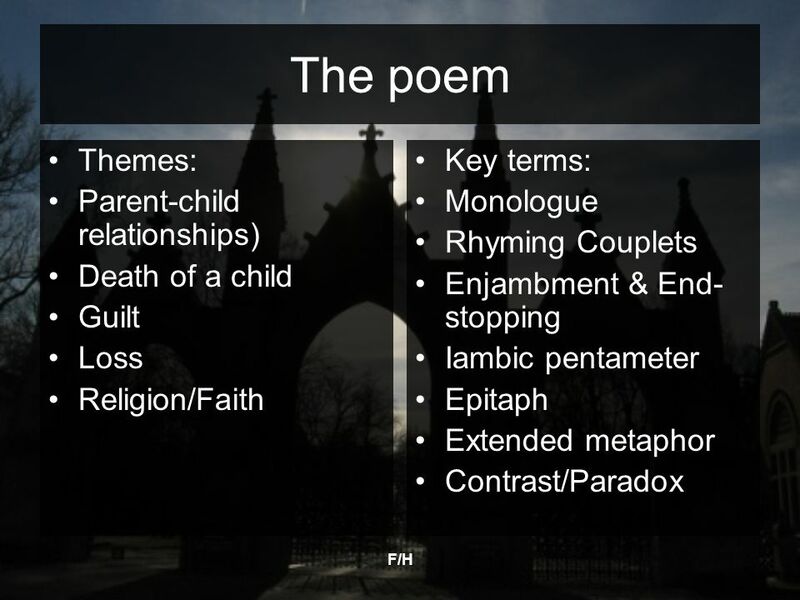 F/H Follower by Seamus Heaney. 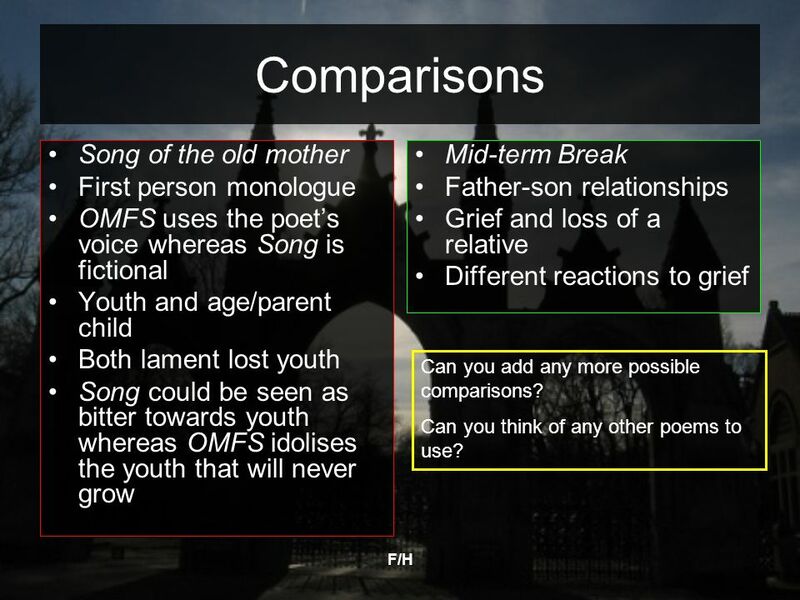 F/H Follower by Seamus Heaney The title is ambiguous and gives a sense both of Heaney literally following his father and. 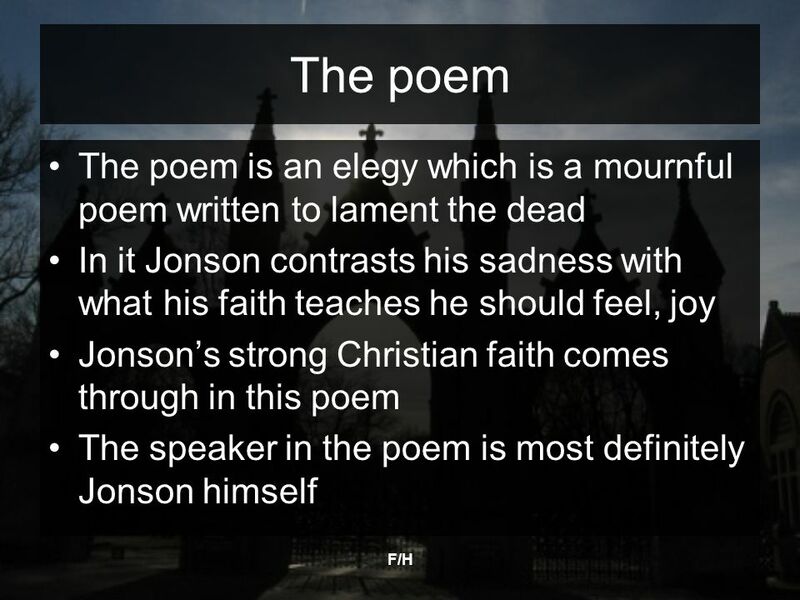 Take Time To Be Holy There are many points in the song of this title that we should consider carefully. 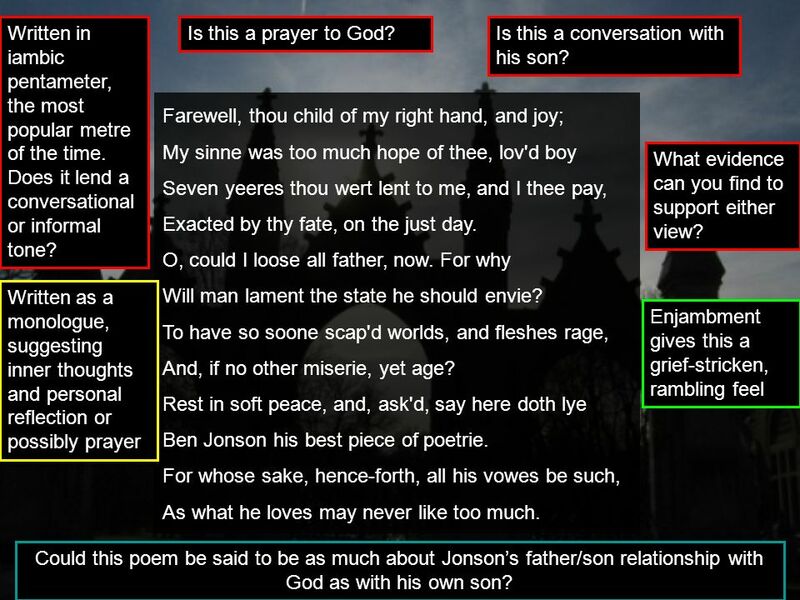 17 th Century Literature Sonnet A lyric poem of 14 lines, typically written in iambic pentameter and usually following strict patterns of stanza divisions. 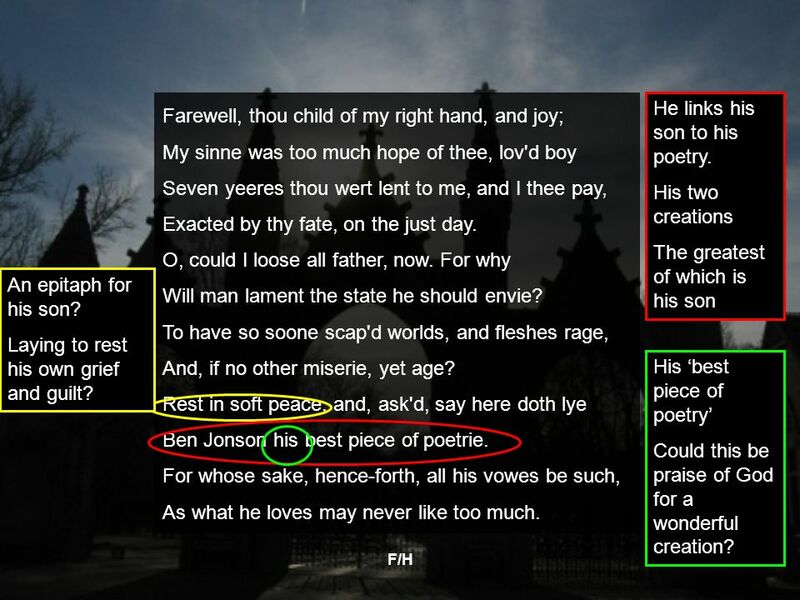 © On My First Sonne by Ben Jonson Ben Jonson ( ) was an actor, playwright and a poet. During his day he was a very.